A US Company looking to make a mark on the Canadian market needs to keep in mind that, for all the similarities Canada and the US share culturally and economically, there are significant differences, too. One of these differences is between the ways that US employees are paid versus Canadian employees. Labour codes, registering with the CRA, and Canadian compliance can be challenging and time consuming endeavors when trying to smoothly transition your business from national to international. Ultimately, it might be worth it to look into partnering with a Canadian Employer of Record, as they will streamline the payroll process and make sure that paying your Canadian employees properly is the least of your concerns. Read on to get some of the most salient points when it comes to securing means of paying a valuable Canadian team. When conducting business in a foreign market, it's essential for a US company to observe the legal compliance of the nation they plan on expanding in, alongside the complexities of tax regulations. What may seem common sense to an US employer, may in fact be a legal misstep if not careful, and it makes sense for a US business to obtain Canadian legal counsel. Canada has different regulations regarding benefits, sick leave, vacation time as well as union regulations. Non-compete agreements that would be kosher in the states are illegal in Canada, and if you're a small-to-medium business, you may find unfamiliar regulations regarding small business administration, as well as untapped opportunities such as the Canadian Small Business Financing Program. It's important to look into the avenues that will insure that your employee insurance is compliant with Canadian labour codes, and it will be worth it if by carefully researching the necessary legal policies you will save yourself from fines or other penalties. When it comes to paying Canadian employees it's necessary to look into the challenges that arise with the fluctuating exchange rate. There are a number of complex factors involved regardless of which route you take—whether it be watching the exchange rate on a regular basis or keeping an account with Canadian currency and paying your employees from there. Another option for paying Canadian employees is to pay them in American dollars, though that comes with it's own difficulties and policies as well—it’s also more expensive with the exchange rate. An alternative to handling the payroll internally is to partner with a Canadian Employer of Record (or PEO). There are a number of benefits to this approach, such as the time that it will save for you to focus on your own business, while the PEO takes care of the tedious HR that is involved. If you're still in the recruiting process, a Canadian Employer of Record will be able to hire Canadian employees on your behalf, and will have the resources to find top quality staff. You will be able to delegate all of the legal and financial matters to the EOR and they will have already been registered with the CRA and have the infrastructure in place to streamline the process for your business. Best of all, the Employer of Record will continue to manage all of the HR and payroll tasks, and all you have to do is pay a flat fee. You may eventually find that an EOR will even free up some resources so you can improve the infrastructure that you already have set for your employees back home. There is nothing quite like increasing the morale of your troops with state-of-the-art equipment, when your budget allows for it. Expanding business into Canada or simply using Canadian workers due to their skill sets can be highly beneficial for an international company. However, paying them isn’t as simple as it might seem. There are strict laws to follow when it comes to processing payroll in the Great White North. If you’re doing business here, you must learn how to properly pay employees in Canada or risk getting on the government’s bad side, having to deal with audits, labour issues, and legal entanglements, getting hit with heavy fines and penalties, and getting a bad reputation. You must follow the appropriate Canadian payroll and tax laws—including deductions and deadlines—not those that you’re used to following in your home country. When it comes to paying workers in Canada, an international company can choose between three options. If you run a relatively small international company and you wear many hats, you might consider it to be more cost efficient and easy to pay employees in Canada on your own. If you go with this option, you’ll have to create the right accounts, get the right government bodies in the loop, ensure that you’re paying your remittances on time, ensure that you follow the correct payroll and tax laws, and make sure that your calculations are correct each and every time, while keeping up with changing legislature. This can get incredibly time consuming. Many international businesses try to find loop holes to avoid dealing with government bureaucracy—they simply classify their employees as independent contractors so they can cut and mail cheques without having to worry about Employment Insurance, Canada Pension Plan, taxes, remittances, researching legislature, and other legal issues. But the government is wise to this kind of fraud—it will be looking closely, and when you get caught, you’ll have more legal headaches to deal with than if you would have just followed the letter of the law to begin with. If you’re not well-versed in Canadian payroll law, you shouldn’t risk taking on payroll processing on your own. 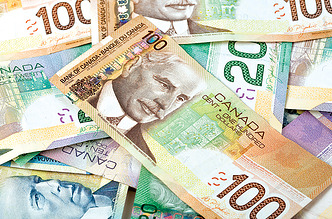 You could also consider hiring a payroll clerk to pay employees in Canada. Though this is better than trying to handle the responsibility on your own, it’s still risky and not entirely cost efficient. You’ll have many expenses related to this hire—from the clerk’s salary and benefits to training, equipment, and supplies—the money you’ll be spending to process payroll in-house will quickly add up. Plus, if this clerk doesn’t fully understand the nuances and intricacies of payroll law in Canada, you still risk the chance of errors being made and getting hit with fines and penalties that you’ll be liable for as the owner of the international company. You can pay employees in Canada faster, more accurately, and more efficiently if you use an employer of record (EOR). Your EOR will be the legal employer of your Canadian workers so all of the work associated with paying them will be left with them. You won’t have to worry about calculations, deadlines, classifications, paperwork, or anything else. Your EOR will have you covered. Your workers will always be paid according to the appropriate laws. Plus, you can even hand over your human resources responsibilities to your EOR, too, so you’re left with very little administrative work to handle. You’ll have peace of mind knowing that all of the work in Canada is being handled and you’ll have more time on your hands to focus on the core business activities that should have your full attention. For a US based business, paying Canadian employees can be an exercise in frustration. Complying with all of the applicable laws and establishing all of the necessary accounts is a time consuming process. Along the way, it's easy to make mistakes that end up costing you more time and money. Those mistakes are avoidable, but it does take time, diligence, and a thorough understanding of Canadian employment law. Before paying Canadian employees, make sure that you know what you're getting into so you can avoid these expensive mistakes. Some business owners believe that paying Canadian employees should be as simple as converting the currency and mailing a cheque. While that may be ideal in the business world, it won't work under current Canadian payroll laws. 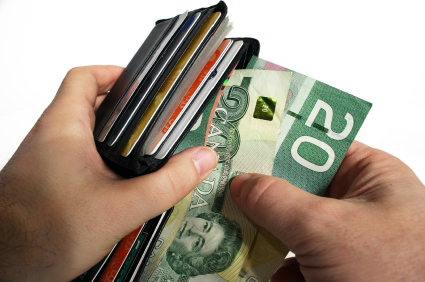 Paying Canadian employees requires compliance with Canadian payroll and employment regulations. Those regulations are cumbersome, complex, and subject to change. Failing to abide by them can result in severe penalties that cost far more than complying with the laws in the first place. Whether you're paying one Canadian worker or a hundred, you have to make sure you're in complete compliance before money changes hands. 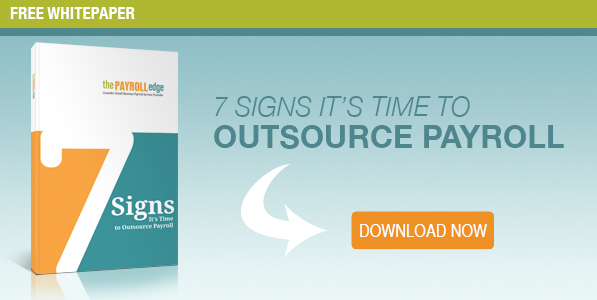 Payroll software is expensive, and so is the training needed to use it correctly. 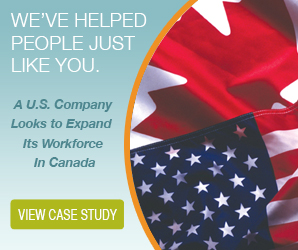 For this reason, it can be tempting to try to use your existing US payroll software to manage paying Canadian employees. Unfortunately, this solution simply will not work. 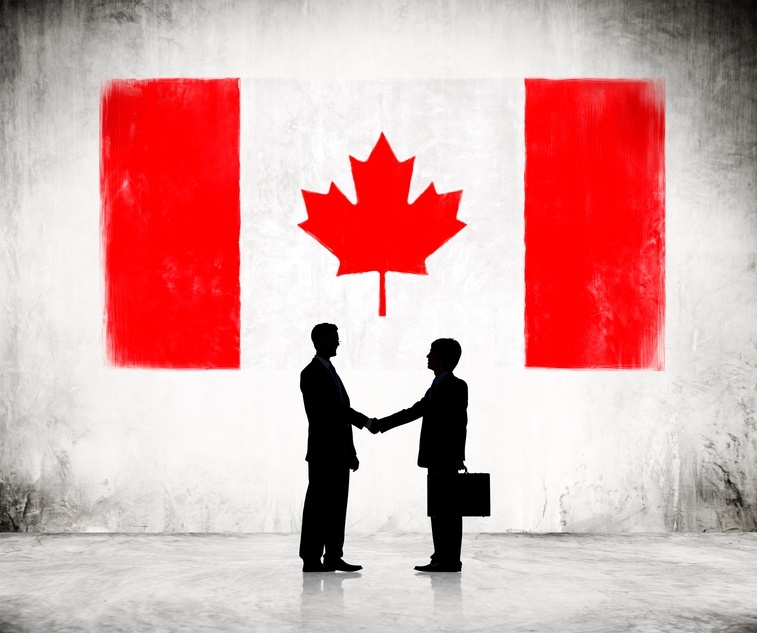 There are far too many differences between Canadian and US payroll regulations. Deductions, withholdings, personal identifiers, and remittance dates are all different. 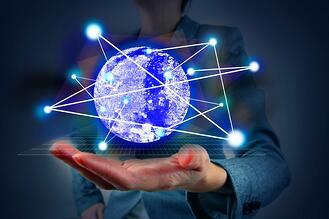 To manage Canadian payroll, you need software that is designed specifically for Canadian laws. On top of that, you need people who are trained to use the software correctly, or errors are likely to creep into the results. Keeping up with Canadian payroll and employment laws is not something that can be done in your spare time. Payroll specialists make a full-time career out of the study of those laws, and take frequent classes to keep up with any changes. Some US employers rely on a simple internet search to tell them how to comply with Canadian laws. Unfortunately, web pages aren't necessarily up to date on the latest changes to and interpretations of the various statutes. A web search may provide you with outdated information or, worse yet, information that is factually inaccurate from the beginning. Of course, it can be tempting to try to find a way around all of these requirements. Some US businesses try to do this by paying Canadian employees as independent contractors. This is a really good way to attract the attention of the CRA and potentially hefty charges and fines. The CRA is actively cracking down on businesses that abuse the independent contractor designation. They've stepped up enforcement and increased penalties in an effort to shut down what they refer to as a "shadow economy." If your employees don't meet the strict definition of an independent contractor, you're assuming a great risk by calling them one anyway. This is, by far, the biggest mistake that businesses make. It encompasses all phases of paying Canadian employees. Some companies try to find shortcuts around establishing a presence; others try to find shortcuts when it comes to workplace safety compliance. To make it simple, there are no shortcuts. There's the right way to pay Canadian employees, and then there are the ways that will result in damage to your business and your reputation.